Pictured: New Love Bites facilitators at the Coburg training with Anj Barker, respectful relationships advocate. The Victorian Government recently announced $21.8 million in funding over two years to roll out respectful relationships education to every Victorian student from kindergarten to year 12. The Respectful Relationships Education in Schools (RREiS) project was piloted in 19 Victorian high schools last year, highlighting that building gender equity into the cultural makeup of a school means looking beyond the curriculum and taking a whole of school approach. As part of a staged process, all Victorian schools will be supported to implement the whole of school approach, which will involve looking at practices and policies relating to gender and driving meaningful cultural change. NAPCAN began delivering Love Bites respectful relationship program training in Melbourne in 2014 and our presence in Victoria has been expanding rapidly over the past year, with requests for the Love Bites respectful relationships program at an all time high. Two Love Bites trainings were completed in Melton and Coburg last month, which now totals six trainings completed in Melbourne the past 12 months, resulting in 79 new facilitators. 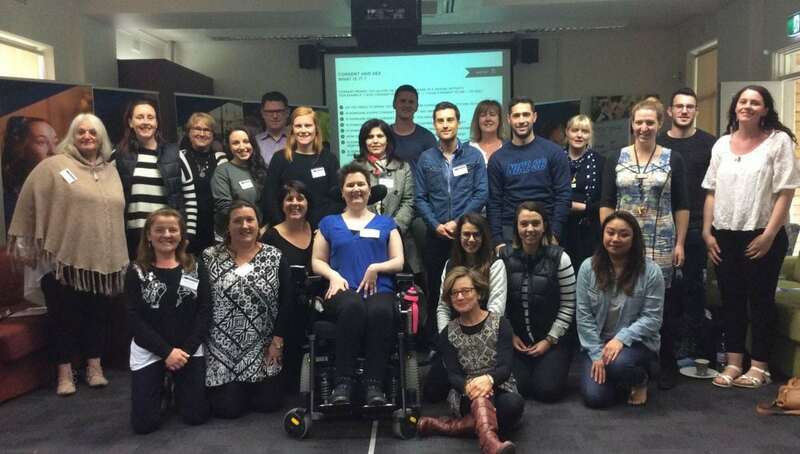 At the recent Love Bites training in Coburg, special guest Angela Barker met with the new facilitators. Angela is a passionate and inspirational young woman who after surviving a horrific domestic violence incident, advocates for respectful relationships and campaigns and educates the public on anti-violence. Anj’s story is featured as part of the Love Bites program in the DVD “Loves Me, Loves Me Not”.